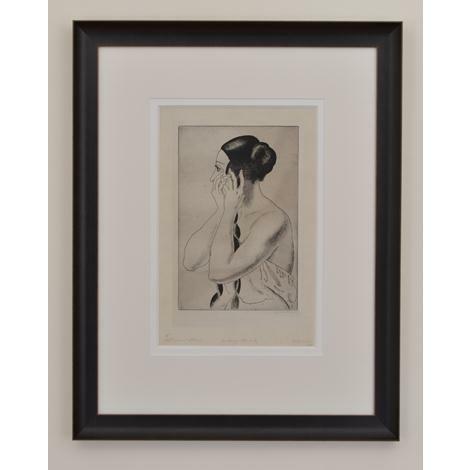 Dame Laura Knight produced this large and striking etching in 1926. The subject is probably the dancer, Vanda Edina, of whom the artist made a pen and ink drawing in 1924. At this time, Knight was becoming increasingly interested in the life - especially the back-stage life - of theatre and circus performers.